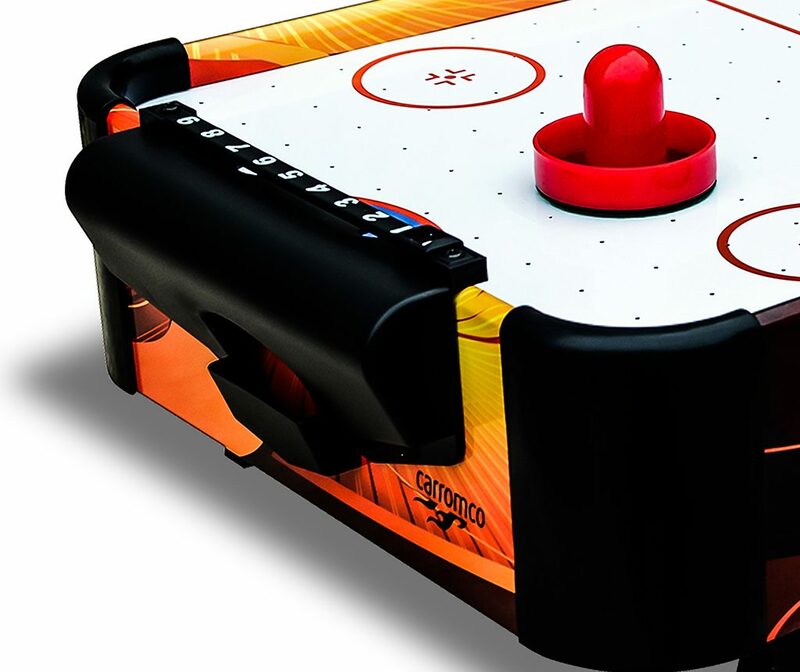 Air Hockey SPEEDY-XT | Products | Carromco - License To Play! 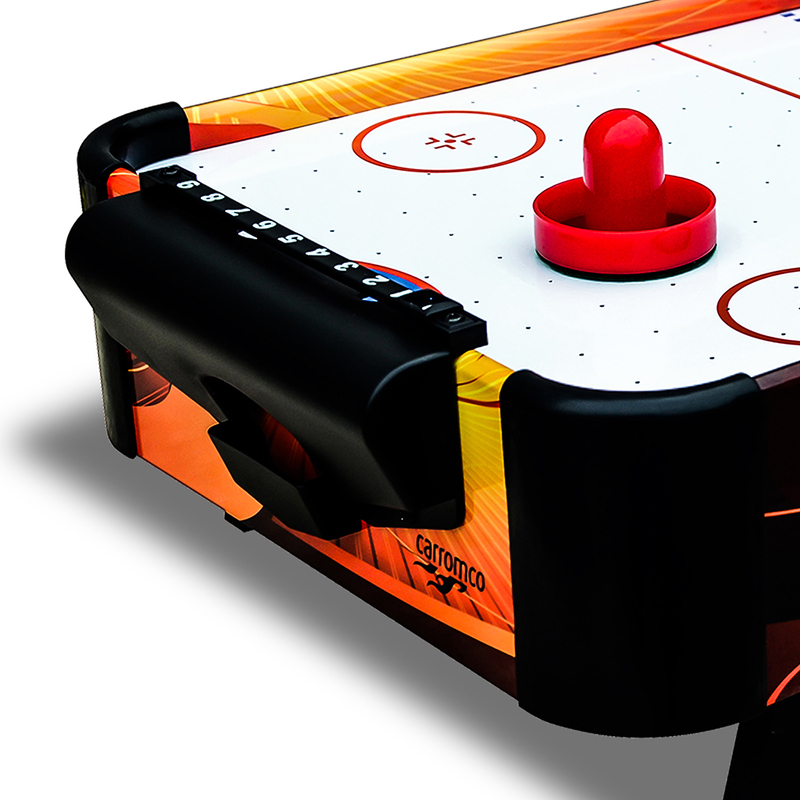 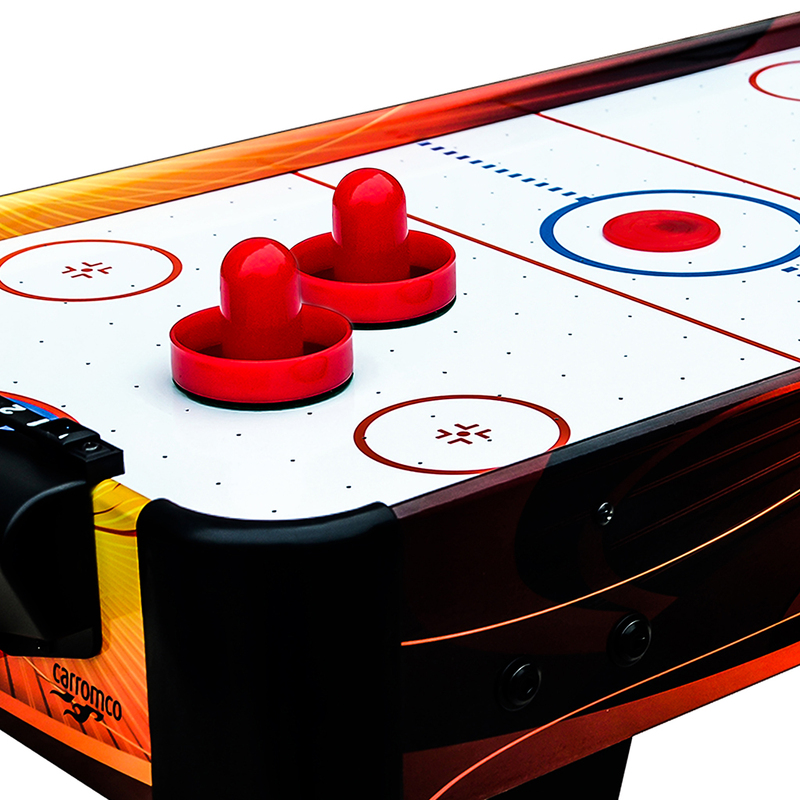 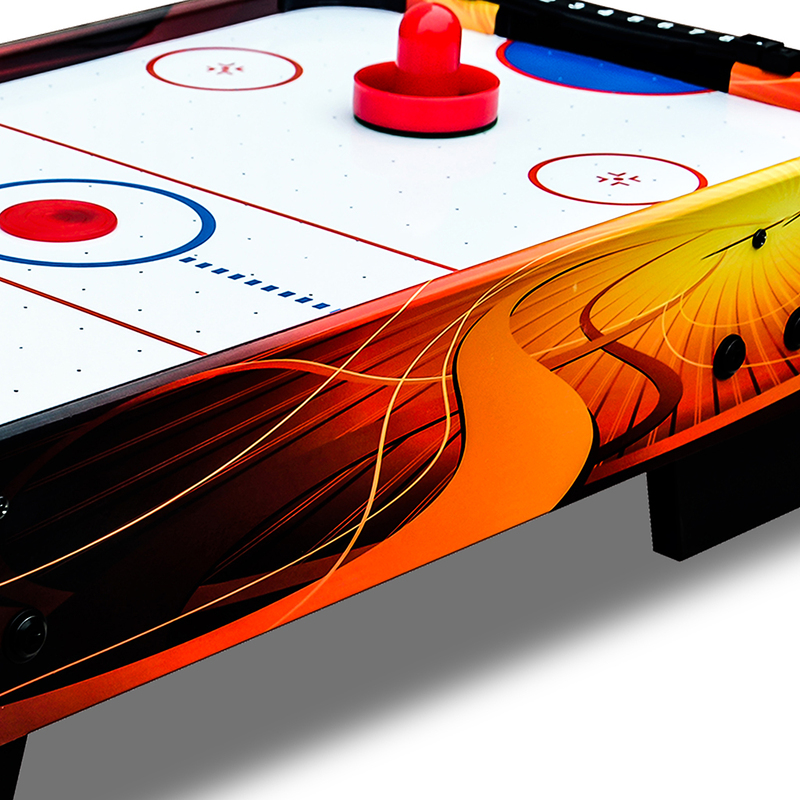 Airhockey Tabletop Speedy-XT has a colourful design and can be transported easily everywhere. 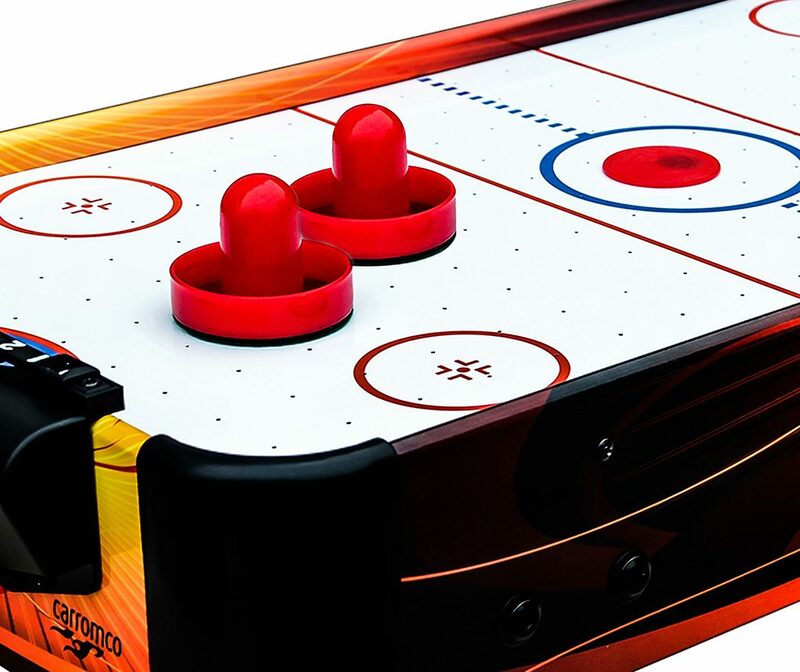 The motor is powered by 8 x AA batteries (not included) and ensures fast and exciting games! 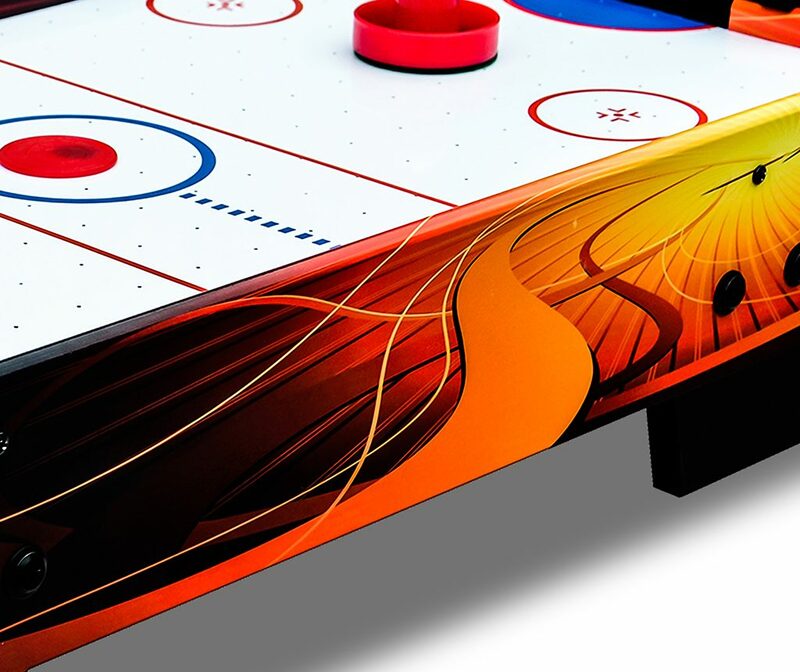 Rounded corners provide extra safety.